The prison police officer could make public address by MB300 to the speakers inside prison, or call prisoner in any room. At the same time or calling, the alarm light will blink; also there will be popup video screen within room called. At the same time, the prisoner could also call and report to police officer by pressing a key. System support call record features to make all records to the call and process. 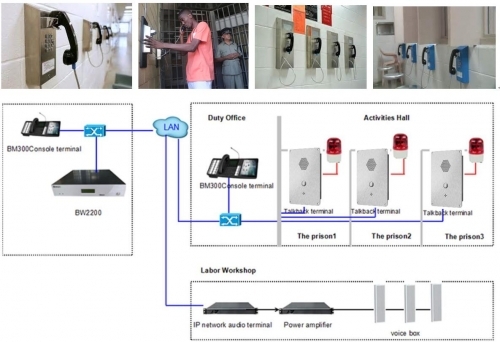 The System is an IP-based communication system which combine telephone system, intercom system, and public address system into one system. 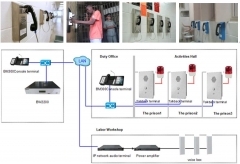 The system consists of sever, network management software, and various telephone terminals.